unwanted protection so your purchased m4b, aax audiobooks can be played on any device you like! Chapter information will be preserved in the output M4A files – easy for you to start where you stop before. 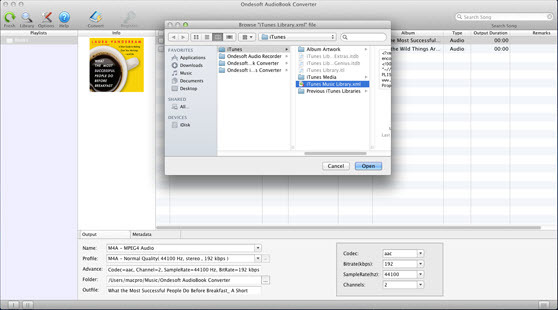 Don’t waste time searching for your files: Ondesoft AudioBook Converter for Mac presents your entire iTunes audiobook folder in one easy to use interface. Speedy conversions: convert files at up to 16X recording speeds! 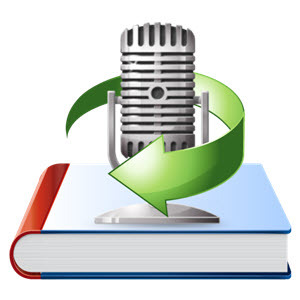 Batch conversions allow users to convert their entire audiobook collection on Mac with the press of a single button. Advanced controls allow users to change the codec, bitrate, sample rate, and number of channels on Mac.